Thanks to National Defense Authorization Act of 2018, service members transitioning out of the military and caregivers of veterans will receive more assistance. Thanks to the National Defense Authorization Act of 2018, service members who are transitioning out of the military will have more assistance for them and their caregivers. Currently, caregivers of veterans are not involved when veterans are going through pre-counseling to learn about their VA benefits. The new law encourages the DoD and VA to work together to better integrate caregivers into the conversation around veteran’s and caregiver’s resources during military separation. It requires the DoD to ask service members who are in pre-separation counseling to identify if they have a caregiver. If they do, then the caregiver becomes part of the conversation to help veterans understand what resources they can utilize, what they can apply for, and how they can support the health, wellness and reintegration of their veteran. “We applaud the recent National Defense Authorization Act of 2018. It aims to give greater awareness and importance to caregivers of veterans earlier in the process of service members transitioning out of the military. It also provides the additional steps needed to effectively present each veteran with their VA benefits. 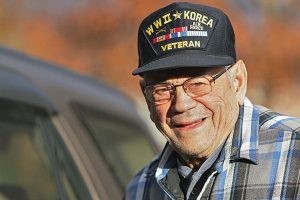 In serving veterans and their families, caregivers are often left out of the dialogue and are not included in discussions regarding VA benefits. This creates information gaps and often results in widening gaps where VA benefits could help with health, medical or social services. Many times, the full benefits have not been presented or are not retained by the veteran during the transition process. These “benefit gaps” are very often avoidable and, if communicated more effectively upfront during the transition process, will most certainly lead to fewer challenges for these veterans and their families. Read more about the National Defense Authorization Act, which was signed by the president on December 12: Law: Bring Caregivers To The Table During Pre-Separation Counseling. If you are caring for a veteran and have questions or need assistance, contact a FirstLight Home Care near you. Thank you for your comment, and Happy New Year. You would be best served by contacting the FirstLight Office that is currently providing you service and discuss directly with them. They will be able to offer additional information. Thank you for putting your trust in FirstLight Home Care and allowing us to take care of you.